Great family starter home! TOTALLY remodeled home from floor to ceiling! New tile and laminate wood flooring throughout, a recently painted exterior [11/2018], new granite counter tops in the kitchen and both full baths and the kitchen cabinetry has been replaced too! A new tinted Living Room window was installed on 12/17/18. The formal Dining Room can easily be utilized as an office/den/library. The huge Living Room has plenty of space for all of your furniture! This home is within walking distance to Urban Forest Lakes Park! 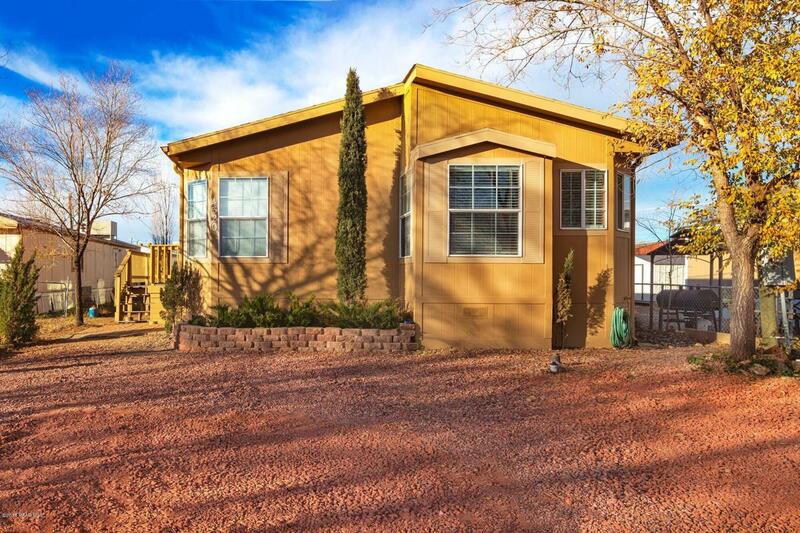 You absolutely MUST check out this comfortable and spacious home which is in close proximity to shopping, restaurants and has easy access to main roads and all that Prescott Valley has to offer. Listing provided courtesy of Carla Bonura of Better Homes And Gardens Real Estate Bloomtree Realty.